The global community, led by the United Nations, has helpfully focused aid effort on various key issues, such as halving extreme poverty by 2015, achieving universal primary education, reducing the spread of diseases like malaria, and protecting the environment. The breadth and interdisciplinary nature of psychology confers on us an opportunity, indeed obligation, to contribute to shaping international development policy over the next decade. How is psychology, in close conjunction with other social sciences, currently affecting policy and practice in international development? And in what ways can psychology make a stronger future contribution to interdisciplinary approaches to poverty reduction? More than 20 years after our previous article in The Psychologist (September, 1993) a white paper for the Society for Industrial and Organisational Psychology ‘Humanitarian work psychology’ (SIOP, 2013) provides a new perspective on global development that challenges the stereotype that occupational psychology, like management science in general, is a servant of power. This classic critique (e.g. see Baritz, 1960) argues there is an inherent conflict of interest between serving labour versus management. Because the wages of occupational psychologists are usually paid by the latter, the risk is that lip service is paid to worker well-being, whilst corporate bidding is done implicitly. However, we agree with Joel Lefkowitz’s (2012) critique of occupational psychology, in which he envisages that the profession can make a much more meaningful contribution, spearheaded by, but not confined to, poverty reduction. What is humanitarian work psychology? The term ‘humanitarian work psychology’ intentionally conflates two complementary perspectives. The first, denoted by ‘humanitarian work | psychology,’ emphasises the first two words and focuses on humanitarian organisations, including the human dynamics of international and national aid, such as the current efforts of Doctors Without Borders in Syria. The second, denoted by ‘humanitarian | work psychology,’ emphasises the last two words and has a broader ambit. It concerns using occupational psychology to pay close attention to humanitarian concerns, such as promoting safe work conditions and decent wages across all sectors. 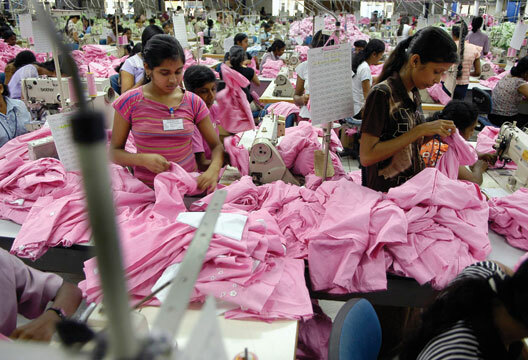 An example would be intervening to improve work conditions in the garment factories of Bangladesh. Bridging the distinction is the notion, supported by the International Labour Organisation, that ‘decent work’ (work that meets human aspirations and values for a dignified existence and quality of life) is an enabler of human capabilities and vital to reducing poverty and promoting human justice. Of course, the distinction between the psychology of humanitarian work and a work psychology that is humanitarian occasionally becomes unnecessary and blurred, such as when a humanitarian organisation advocates for industrial work becoming more humanitarian. Amnesty International, for instance, may campaign for garment workers’ rights to decent work. Regrettably however, such forms of development partnership are currently more an exception than the rule. Berry et al. (2011) claimed that occupational psychology has concerned itself mainly with serving for-profit corporations, including expatriate workforce needs, especially managing occupational stress from culture shock (Furnham, 2010). Thankfully, today, decent work for host national workers in low-income countries is more in the foreground. Humanitarian work | psychology is expanding psychology’s traditional ambit to include everyday organisational stressors, work–life interfaces, and stress management in war-torn, drought-stricken and disaster-affected areas, wherever – and for whomever – they occur (e.g. see Vergara & Gardner, 2011). Humanitarian | work psychology meanwhile has a growing and expanding focus on corporate social responsibility. To give a flavour of work across both types of humanitarian work psychology we now conceptualise this activity at four ‘levels’ providing exemplars for each. Classically, psychometrics are used to screen people ‘out’ of jobs, when there are too many people for one slot. Alternatively, in many lower-income settings and particularly during the present economic crisis, psychometric testing is being used to screen people ‘in’ to workplace roles. Culturally competent psychometric tests are providing information-strapped and confidence-sapped banks in lower-income communities with previously unknown information about entrepreneurs applying for credit. This gives these individuals a chance to expand their informal business into the formal sector, creating jobs and prosperity (Klinger et al., 2013). Another example is the concept of person–job fit. Typically in occupational psychology, fit is seen as a single index, between the candidate or incumbent and the job, in terms of job competencies. However, the 2005 Paris Declaration on Aid Effectiveness stated that aid should be ‘aligned’ with local values and aspirations. An interesting implication of this principle is that international NGOs should use more than one index of fit. On the one hand is the aid agency international HQ’s global perception of the role requirements; and on the other hand is local subject-matter experts’ knowledge about ‘what works’ in the job, in their own community and locale. Using these inherently more inclusive processes, one of us together with Jennifer Manson asked local as well as international subject-matter experts to rank order the core competencies for non-government, church-based organisations in a range of low-income settings (Manson & Carr, 2011). The two panels expressed significantly different priorities. Job incumbents’ résumés were then ‘fitted’ to these profiles and priorities, and the two fit scores tested for covariance with outcome measures like aid worker job satisfaction, engagement and life satisfaction. Each fit score was predictive of variance in the criterion variables. Hence using multiple indexes of fit has the potential to incrementally boost aid worker fit, job attitudes, performance and possibly effectiveness, not only in humanitarian work but also potentially across employee groups and jobs in other sectors (Seong & Kristof-Brown, 2012). Also relevant here is a major criticism of the United Nations’ current round of Millennium Development Goals (MDGs: UN, 2012) – eight goals agreed upon by all member states in 2000, to be achieved by 2015, such as eradicating extreme world poverty. It’s been said that they are difficult to translate into managerial guidance and decision making on an everyday operational level. Our nascent research on multiple fit indices in the selection of aid expatriates, and others potentially, is a specific example of how occupational psychology adds unique value to humanitarian initiatives, goals and policy gaps. Decent work requires a degree of perceived justice at work. One global threat to that goal is the continuing existence of ‘dual salary’ systems. These are a hangover from colonial days, in which it was argued that local communities lacked the capacity to provide their own experts, who would therefore have to be recruited internationally and remunerated at special rates. To this day, workers from richer labour markets are often paid much more highly than their skilled indigenous colleagues. Across over 200 organisations, both for- and not-for-profit, in economies classified as landlocked and Island Nations and BRICS (the strong emerging economies of Brazil, Russia, India, China and South Africa), ratios between expatriate and local professional workers’ remuneration range anywhere from 2:1 to 10:1, with wide variations across organisations within a country (Marai et al., 2010; Munthali et al., 2010; Zhou et al., 2010). Dual salaries leave the majority of host national professionals with insufficient income to support themselves and their families, in part because expatriate salaries drive inflation upwards. Within organisations they increase salary overheads and deplete financial resources at the direct expense of local employees. Not surprisingly, perhaps, humanitarian work psychology research has found that dual salaries are an elephant in the room, creating major motivational and teamwork issues, on all sides (Carr et al., 2010; ESRC, 2010). Remuneration tends to have a symbolic as well as pecuniary value in organisations, and dual salaries propagate a perception of workplace injustice among locally remunerated professionals, which in turn links to demotivation at work. We have also demonstrated that these salary differentials are associated with elevated intentions for local workers to leave (Carr et al., 2010). These associative links were significantly stronger at the organisational level, rather than at the individual level, or at more ‘macro’ levels (i.e. wage differences between employment sectors and countries), suggesting that organisational dynamics, at least as far as remuneration is concerned, can sometimes be more psychologically salient than their country and sector counterparts; and that organisational policies, and organisational climates and culture, are potential points for intervention to help facilitate decent work. In the MDGs, organisations, everyday jobs and the occupational behaviour of people working in them were largely overlooked. Hence we, like others, have argued through a Global Task Force for Humanitarian Work Psychology initiated in 2009 during a meeting hosted by University College London that the new development goals after 2015 (most likely to be called the ‘Sustainable Development Goals’) should include a stronger focus on workplace dynamics and organisational justice. The research on dual salaries is currently being used to help inform new and innovative salary systems that strive to recognise employee need and input. Salary reform is already starting to happen in the non-government sector (ESRC, 2010). Recently, for example, a non-government organisation (NGO) ‘People in Aid,’ sponsored an online platform called the ‘Fair Pay Forum’. There, researchers and HR managers from NGOs combined forces to track the types of organisational policy reform that work best to reduce poverty, both directly through paying liveable wages to local professional employees and indirectly by motivating higher workplace and service performance (see ‘Resources’). Policy options currently being considered, and in some cases implemented, include paying everyone, regardless of country of origin, one wage, for one job, in one country. Some major aid organisations also pay non-local workers at local or volunteer rates, and there is no evidence that these organisations are any less (or more) effective than those that pay at higher rates. Other organisations may follow the private sector by choosing to retain a compensation package for expatriate relocation and tax costs, provided it does not exceed a certain threshold on the international (versus local) wage trend line. If initiatives like the Fair Pay Forum succeed, salary reform could apply across any entire sector. This is particularly true for sectors, like the health sector, which may be considered to operate via interconnected organisations (Saner & Yiu, 2012). Reform is urgently needed in many low-income countries where the effectiveness of the health system is limited by a range of resource constraints, but particularly human resource constraints (MacLachlan, 2012). The Global Health Workforce Alliance has estimated that Africa alone needs 1.5 million new health workers to be trained to address shortfalls in its health systems. The World Report on Disability (WHO, 2011) cites the estimate of 0.04–0.6 psychologists per 100,000 of population in low- and middle-income countries. The equivalent ratio in high-income countries globally is estimated to be anywhere between from 100 to 180 times greater (Morris et al., 2012). From a sector-wide perspective, waiting for the training (and retention) of a ‘Western-style’ cadre of health workers has unacceptable costs in terms of human suffering and failing to achieve inherent potential, or ‘capability’ of the indigenous population. Humanitarian work psychology has contributed to addressing this challenge through work on enhancing the effectiveness of ‘task-shifting.’ This is where specific tasks can be reallocated, from health workers with longer training to health workers with shorter training. For instance, clinical officers, who may train for three years, are able to take on specific tasks like the delivery of babies and C-sections, rather than requiring the much longer training of medical practitioners qualified in obstetrics. Research in emergency obstetric care, provides strong evidence for the clinical efficacy (Chilopora et al., 2007; McCord et al., 2009) and economic value (Kruk et al., 2007) of these ‘so-called’ mid-level cadres – showing that they are as effective as obstetricians with much longer training, and may render healthcare more accessible, cost-effective and efficient (Buse et al., 2008). Some of the key challenges for these ‘mid-level’ cadres are their motivation, career development, support, supervision, and management (McAuliffe et al., 2009). Humanitarian work psychology has made particular contributions here, and much more can be done by applying the skills of organisational psychology to job analysis, skill-set specification and training within the ‘task-shifting’ paradigm. We are currently convening a World Health Organization-funded consortium charged with the task of developing guidelines for the development of appropriate human resources for the rehabilitation workforce, globally – a challenging venture where humanitarian work psychology can also make a difference. These contributions are not limited to health care; specific functional skills are sorely needed across a range of jobs in education and other public services in many low- and middle-income countries. In low-income contexts it becomes increasingly important that resources are equitably distributed, yet this is rarely the case. Together with multidisciplinary colleagues, including psychologists from Sudan, South Africa and Ireland, we have developed a policy analysis tool – ‘EquiFrame’ (MacLachlan et al., 2012) – based on ‘social dominance theory’ (LeMieux & Pratto, 2003), which proposes that individuals and societies are implicitly predisposed to stratify the world into hierarchies, and that those higher up in a hierarchy may use their dominant position to undermine the privileges, opportunities and rights of those lower down. So far we’ve used the tool to analyse over 70 national, regional and international polices to find out whether different vulnerable groups are included in health polices. Jefferson stated that ‘there is nothing more unequal, than the equal treatment of unequal people,’ alluding to the idea that if one wants equality as an outcome then it requires equity in the processes to achieve it – resources have to be distributed equitably (including according to need and addressing barriers) to achieve equivalent outcomes. We’ve found that in many policies – across high-, medium- and low-income countries – resource allocation privileges some groups over others. EquiFrame challenges the psychology of social dominance and helps policy makers think through the development of more inclusive policies, through which scarce resources can be more equitably distributed. EquiFrame has now been used to write the first ever National Health Policy for Malawi, and has been adopted to guide the development and revision of all future health policies in Sudan. EquiFrame is an open-access resource and is now being used by civil society and United Nations organisations to promote more inclusive development. As well as exploring the content of policies, we have also used psychological data collection techniques to explore the process of developing and revising policies. For instance we have used focus groups, force field analysis, critical incidents analysis and the nominal group technique with diverse groups of civil society, donors, government officials and academics, to identify advocacy priorities. The nominal group technique is an effective alternative to brainstorming, in which individual ideas are individually written down before each is given equal and anonymous consideration by the group. It is thus one method of reducing the effects of social dominance or of socially dominant individuals, and of building consensus in group decision making. Influencing national development policy is essentially a process of social persuasion achieved by encouraging stakeholders to embrace a particular agenda. Thus we also envisage a role for evidence-based ‘new diplomacies’ in poverty-reduction initiatives, by occupational psychologists who work alongside civil society and minority groups (Saner & Yiu, 2012). We are also convening another World Health Organization-funded consortium charged with the task of developing guidelines for leadership and governance in rehabilitation globally – another area where humanitarian work psychology has much to contribute. Paraphrasing Mahatma Gandhi, a challenge (and opportunity) for humanitarian work psychology is ‘to be the changes that the community might seek’. Of course in managing behavioural change we sometimes have to maintain a certain distance from the change itself, bringing in perspectives and techniques that are not part of the community that seeks/requires/is subject to the change. At other times, humanitarian work psychology operates more directly because the researchers are part of the change process and enable the aims of the community. Clearly what Gandhi meant by being the changes that we seek is that our methods should be consistent with our goals. For example, aid that professes to be about enabling should not be over-controlling. We want to end by acknowledging and expressing our appreciation for the many other academics, researchers, practitioners, activists, civil servants and politicians who are contributing to this new field of humanitarian work psychology. There is now an international organisation focused on its development and advocacy – the Global Organisation for Humanitarian Work Psychology (www.gohwp.org) and we invite others to join us in supporting initiatives in this valuable, challenging and rewarding area of work. Ultimately, humanitarian work psychology will have much to draw from the well-developed micro-psychology focus of the past, but also much to contribute to developing a vibrant macro-psychology: one which is capable of engaging with broader contextual and procedural issues, with the politics of international policy and practices, and with the myriad factors that now entwine individuals and organisations in the interplay of globalisation. Indeed, perhaps it is time for us as a profession to go further and ask if what we need now is not just advocacy but evidence-based activism. Baritz, L. (1960). The servants of power: A history of the use of social science in American industry. New York: Science Editions.Berry, M., Reichman, W., MacLachlan, M. et al (2011). Humanitarian work psychology: The contributions of organizational psychology to poverty reduction. Journal of Economic Psychology, 32, 240–247. Buse, K., Ludi, E. & Vigneri, M. (2008). Can project-funded investments in rural development be scaled up? Lessons from the Millennium Villages Project. Natural Resource Perspectives, 118, 1–6. Chilopora G., Pereira C., Kamwendo F. et al. (2007) Postoperative outcome of Caesarean sections and other major emergency obstetric surgery by clinical officers and medical officers in Malawi. Human Resource Health 5, 17. Furnham, A. (2010). Culture shock: Literature review, personal statement, and relevance for the South Pacific. Journal of Pacific Rim Psychology, 4, 87–94. Klinger, B., Khwaja, A.L. & del Carpio, C. (2013). Enterprising psychometrics and poverty reduction. New York: Springer Briefs on Poverty Reduction. Kruk, M.E., Pereira, C., Vaz, F. et al. (2007) Economic evaluation of surgically trained assistant medical officers in performing major obstetric surgery in Mozambique. British Journal of Obstetrics and Gynaecology, 114, 1253–1260. Lefkowitz, J. (2012). From humanitarian to humanistic work psychology: The morality of business. In S.C. Carr, M. MacLachlan & A. Furnham (Eds.) Humanitarian work psychology (pp.103–128). Basingstoke: Palgrave Macmillan. LeMieux, A.F. & Pratto, F. (2003). Poverty and prejudice. In S.C. Carr & T.S. Sloan (Eds.) Poverty and psychology: From global perspective to local practice (pp.147–162). New York: Springer. MacLachlan, M. (2012). Rehabilitation psychology and global health. In P. Kennedy (Ed.) Oxford Handbook of Rehabilitation Psychology. Oxford: Oxford University Press. Manson, J.M.C. & Carr, S.C. (2010). Improving job fit for mission workers by including expatriate and local job experts in job specification. Journal of Managerial Psychology, 26, 643–663. Marai, L, Kewibu, V., Kinkin, E. et al. (2010). Remuneration disparities in Oceania. International Journal of Psychology, 45, 350–359. Global Special Issue on Psychology and Poverty Reduction (tinyurl.com/par9exn). McAuliffe, E., Bowie, C., Manafa, O. et al. (2009). Measuring and Managing the Work Environment of the Mid-level Provider. Human Resource for Health, 7, 13. McCord, C., Mbaruku, G., Pereira, C. et al. (2009). The quality of emergency obstetrical surgery by Assistant Medical Officers in Tanzanian district hospitals. Health Affairs, 28, 876–885. Morris, J., Lora, A., McBain, R. & Saxena, S. (2012). Global mental health resources and services: A WHO survey of 184 countries. Public Health Reviews, 34, 1–19. Saner, R. & Yiu, L. (2012). The new diplomacies and humanitarian work psychology. In S.C. Carr, M. MacLachlan & A. Furnham (Eds.) Humanitarian work psychology (pp.129–165 ). Basingstoke: Palgrave Macmillan. Seong, J.Y. & Kristof-Brown, A.L. (2012). Testing multidimensional models of person-group fit. Journal of Managerial Psychology, 27, 536–556. Society for Industrial and Organizational Psychology (2013). Humanitarian work psychology. Washington, DC: SIOP White Papers Series. United Nations (2012). The Millennium Development Goals Report 2012. New York: Author. World Health Organization (2011). World report on disability. Geneva: Author.